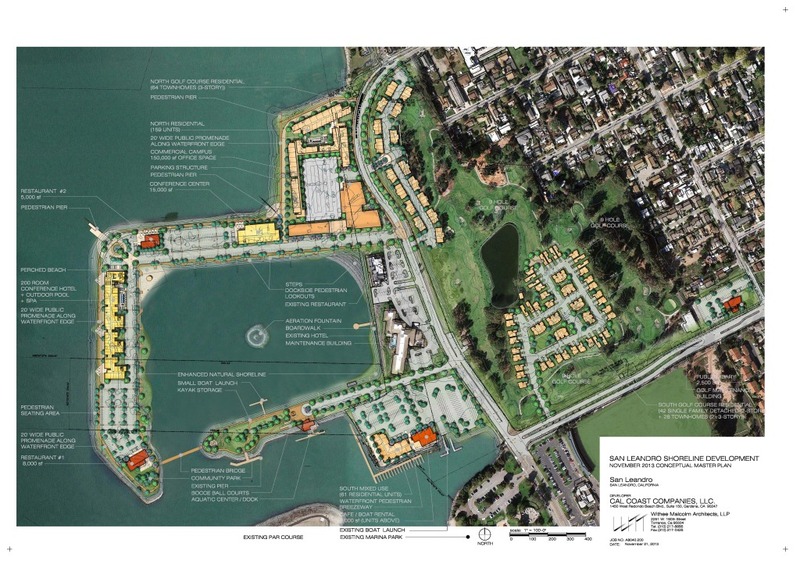 The Draft Environmental Impact Report (DEIR) for the San Leandro Shoreline Development is now available for public review on the project website. The public review period begins on December 9, 2014 and continues through February 6, 2015. The project also includes restoration of a natural shoreline along the interior of the harbor basin, refurbishment of existing public restrooms, and an aeration fountain in the harbor basin to aid in water circulation. Throughout construction of the project, continuous public access will be maintained to Marina Park and the shoreline nature path. Per state law, local government agencies must consider the environmental consequences of new development projects before taking action on those projects. The Environmental Impact Report is designed to provide the public and governmental decision-makers with an analysis of potential environmental consequences to support informed decision-making. Following the public review period, a Final EIR will be prepared, which will include written responses to all oral and written comments received by the City during the review period. Although state law only requires a 45 day review period, the City has extended that timeframe to 60 days of public review.